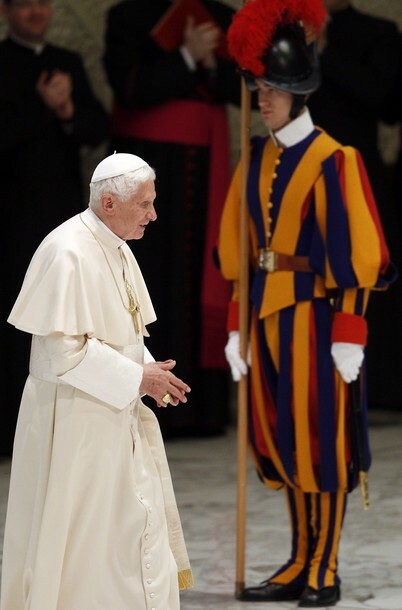 VATICAN CITY, JAN. 18, 2012 (Zenit.org).- Here is a translation of the Italian-language catechesis Benedict XVI gave today during the general audience held in Paul VI Hall. The Pope reflected on the Week of Prayer for Christian Unity, which begins today. Today marks the beginning of the Week of Prayer for Christian Unity, which for more than a century has been celebrated by Christians of all Churches and ecclesial Communities, in order to invoke that extraordinary gift for which the Lord Jesus Himself prayed during the Last Supper, before His Passion: “that they may all be one; even as thou, Father, art in me, and I in thee, that they also may be in us, so that the world may believe that thou hast sent me” (John 17:21). The practice of the Week of Prayer for Christian Unity was introduced in 1908 by Father Paul Wattson, founder of an Anglican religious community that subsequently entered the Catholic Church. The initiative received the blessing of Pope St. Pius X and was then promoted by Pope Benedict XV, who encouraged its celebration throughout the Church with the Brief, Romanorum Pontificum, promulgated Feb. 25, 1916. 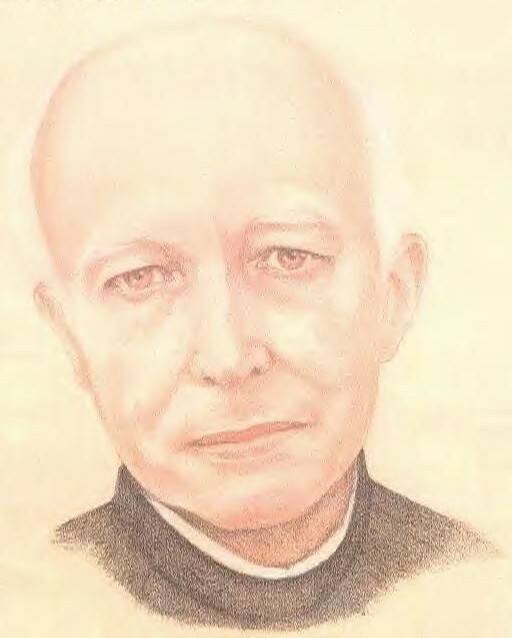 The octave of prayer was developed and perfected in the 1930s by Abbé Paul Couturier of Lyon, who promoted prayer “for the unity of the Church as Christ wills, and in accordance with the instruments He wills.” In his later writings, Abbé Couturier sees this Week as a way of allowing the prayer of Christ to “enter into and penetrate the entire Christian Body”; it must grow until it becomes “an immense, unanimous cry of the whole People of God” who ask God for this great gift. And it is precisely during the Week of Christian Unity that the impetus given by the Second Vatican Council toward seeking full communion among all of Christ’s disciples each year finds one of its most forceful expressions. This spiritual gathering, which unites Christians of all traditions, increases our awareness of the fact that the unity to which we tend will not be the result of our efforts alone, but will rather be a gift received from above, a gift for which we must constantly pray. Each year, the booklets for the Week of Prayer are prepared by an ecumenical group from a different region of the world. I would like to pause to consider this point. This year, the texts were proposed by a mixed group comprised of representatives of the Catholic Church and of the Polish Ecumenical Council, which includes the country’s various Churches and ecclesial Communities. 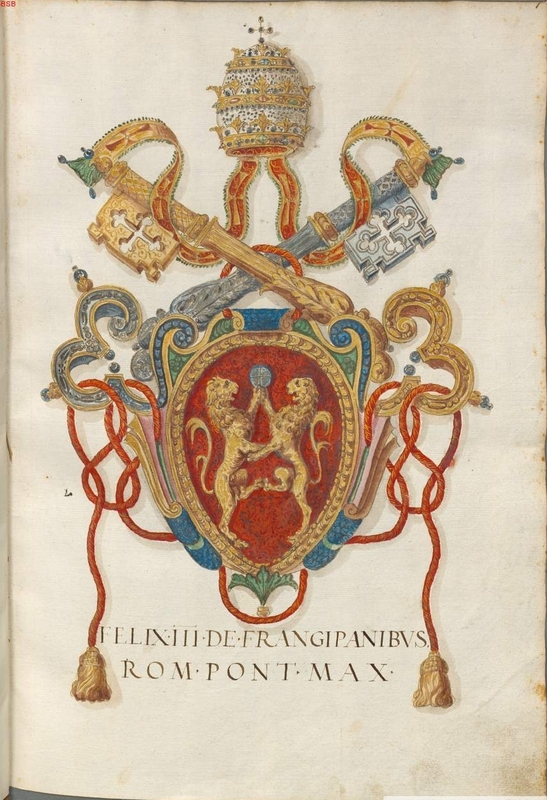 The documentation was then reviewed by a committee made up of members of the Pontifical Council for the Promotion of Christian Unity and of the Faith and Order Commission of the Council of Churches. This work, carried out together in two stages, is also a sign of the desire for unity that animates Christians, and of the awareness that prayer is the primary way of attaining full communion, since it is in being united with the Lord that we move toward unity. The theme of the Week this year — as we heard — is taken from the First Letter to the Corinthians: “We Will All Be Changed By the Victory of Our Lord Jesus Christ” — His victory will transform us. And this theme was suggested by the large ecumenical Polish group I just mentioned, which — in reflecting on their own experience as a nation — wanted to underscore how strong a support the Christian faith is in the midst of trial and upheaval, like those that have characterized Poland’s history. After ample discussion, a theme was chosen that focuses on the transforming power of faith in Christ, particularly in light of the importance it has for our prayer for the visible unity of Christ’s Body, the Church. This reflection was inspired by the words of St. Paul who, addressing himself to the Church of Corinth, speaks about the perishable nature of what belongs to our present life — which is also marked by the experience of the “defeat” that comes from sin and death — compared to what brings us Christ’s victory over sin and death in His paschal mystery. The particular history of the Polish nation, which knew times of democratic coexistence and of religious liberty — as in the 16th century — has been marked in recent centuries by invasions and defeat, but also by the constant struggle against oppression and by the thirst for freedom. All of this led the ecumenical group to reflect more deeply on the true meaning of “victory” — what victory is — and “defeat.” Compared with “victory” understood in triumphalistic terms, Christ suggests to us a very different path that does not pass by way of force and power. In fact, He affirms: “If anyone would be first, he must be last of all and servant of all” (Mark 9:35). Christ speaks of a victory through suffering love, through mutual service, help, new hope and concrete comfort given to the least, to the forgotten, to those who are rejected. For all Christians, the highest expression of this humble service is Jesus Christ Himself — the total gift He makes of Himself, the victory of His love over death on the Cross, which shines resplendent in the light of Easter morning. We can take part in this transforming “victory” if we allow ourselves to be transformed by God — but only if we work for the conversion of our lives, and if this transformation leads to conversion. This is the reason why the Polish ecumenical group considered particularly fitting for their own reflection the words of St. Paul: “We will all be changed by the victory of Christ, Our Lord” (cf. 1 Corinthians 15:51-58). The full and visible unity of Christians for which we long demands that we allow ourselves to be ever more perfectly transformed and conformed to the image of Christ. The unity for which we pray requires interior conversion, both communal and personal. 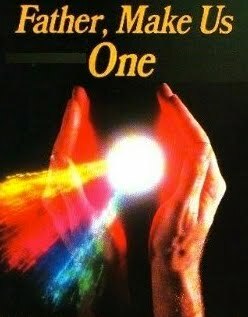 It is not simply a matter of kindness and cooperation; above all, we must strengthen our faith in God, in the God of Jesus Christ, who has spoken to us and who made Himself one of us; we must enter into new life in Christ, which is our true and definitive victory; we must open ourselves to one another, cultivating all the elements of that unity that God has preserved for us and gives to us ever anew; we must feel the urgency of bearing witness before the men of our times to the living God, who made Himself known in Christ. 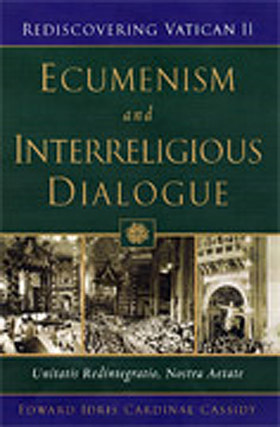 The Second Vatican Council put the ecumenical pursuit at the center of the Church’s life and work: “The Sacred Council exhorts all the Catholic faithful to recognize the signs of the times and to take an active and intelligent part in the work of ecumenism” (Unitatis redintegratio, 4). Blessed John Paul II stressed the essential nature of this commitment, saying: “This unity, which the Lord has bestowed on his Church and in which he wishes to embrace all people, is not something added on, but stands at the very heart of Christ’s mission. Nor is it some secondary attribute of the community of his disciples. 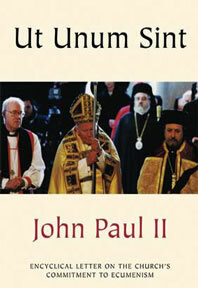 Rather, it belongs to the very essence of this community (Ut unum sint, 9). The ecumenical task is therefore a responsibility of the whole Church and of all the baptized, who must make the partial, already existing communion between Christians grow into full communion in truth and charity. Therefore, prayer for unity is not limited to this Week of Prayer but rather must become an integral part of our prayer, of the life of prayer of all Christians, in every place and in every time, especially when people of different traditions meet and work together for the victory, in Christ, over all that is sin, evil, injustice, and that violates human dignity. From the time the modern ecumenical movement was born over a century ago, there has always been a clear recognition of the fact that the lack of unity among Christians prevents the Gospel from being proclaimed more effectively, because it jeopardizes our credibility. How can we give a convincing witness if we are divided? Certainly, as regards the fundamental truths of the faith, much more unites us than divides us. But divisions remain, and they concern even various practical and ethical questions — causing confusion and distrust, and weakening our ability to hand on Christ’s saving Word. In this regard, we do well to remember the words of Blessed John Paul II, who in the Encyclical Ut unum sint, speaks of the damage caused to Christian witness and to the proclamation of the Gospel by the lack of unity (cf. no. 98,99). This is a great challenge for the new evangelization, which can be more fruitful if all Christians together announce the truth of the Gospel of Jesus Christ and give a common response to the spiritual thirst of our times. The Church’s journey, like that of all peoples, is in the hands of the Risen Christ, who is victorious over the death and injustice that He bore and suffered on behalf of all mankind. He makes us sharers in His victory. Only He is capable of transforming us and changing us — from being weak and hesitant — to being strong and courageous in working for good. Only He can save us from the negative consequences of our divisions. Dear brothers and sisters, I invite everyone to be more intensely united in prayer during this Week for Unity, so that common witness, solidarity and collaboration may grow among Christians, as we await the glorious day when together we may profess the faith handed down by the Apostles, and together celebrate the Sacraments of our transformation in Christ. Thank you. The Week of Prayer for Christian Unity which begins today invites all the Lord’s followers to implore the gift of unity. This year’s theme – We Will All Be Changed By The Victory Of Our Lord Jesus Christ – was chosen by representatives of the Catholic Church and the Polish Ecumenical Council. Poland’s experience of oppression and persecution prompts a deeper reflection on the meaning of Christ’s victory over sin and death, a victory in which we share through faith. By his teaching, his example and his paschal mystery, the Lord has shown us the way to a victory obtained not by power, but by love and concern for those in need. Faith in Christ and interior conversion, both individual and communal, must constantly accompany our prayer for Christian unity. During this Week of Prayer, let us ask the Lord in a particular way to strengthen the faith of all Christians, to change our hearts and to enable us to bear united witness to the Gospel. In this way we will contribute to the new evangelization and respond ever more fully to the spiritual hunger of the men and women of our time. I offer a cordial welcome to all the English-speaking pilgrims and visitors present at today’s Audience. My special greeting goes to the Lutheran pilgrims from Finland. I also greet the group of sailors and marines from the United States. Upon all of you and your families I cordially invoke God’s abundant blessings! I extend a cordial welcome to all Italian-speaking pilgrims. In particular, I greet priests belonging to the Focolare Movement, and I hope that these days of study help you to persevere in the generous following of Christ and in the joyous witness of the Gospel. I greet the students from the diocese of Caserta who are accompanied by their Bishop Pietro Farina: may this meeting strengthen the faith and commitment to Christian life in each one of you. I warmly greet the young patients of the National Institute for Cancer Research and Treatment of Milan, and I assure you of my fervent prayers that the Lord may sustain each of you by His grace. I greet the large representation of the Bar of Rome and, while I thank them for their presence, I wish to encourage them to carry out their delicate profession by always remaining faithful to the truth, the fundamental prerequisite for the implementation of justice. I also offer a cordial greeting to young people, to the sick and to newlyweds. I invite you, dear young people, always to witness generously to your faith in Christ, who illumines the journey of life. May faith be a constant comfort in suffering to you, dear sick. And may the light of Christ be for you, dear newlyweds, an effective guide in your family life. This entry was posted on January 23, 2012 at 1:31 am and is filed under 2012, christian, January, Unity. You can follow any responses to this entry through the RSS 2.0 feed. You can leave a response, or trackback from your own site.